Administration: Local Government, Insurance and Engineering. 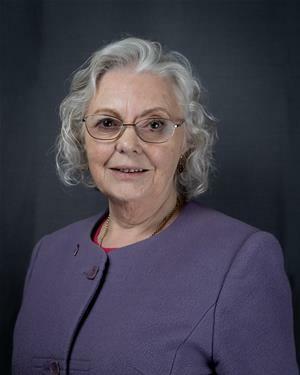 Gawsworth Parish Councillor since 1999 and previous Chair. Gawsworth School Governor and Chair of Community and Environment Sub-Committee. Macclesfield Civic Society Committee Member (previous Chair). v Cabinet Assistant Sustainable Communities. v Children & Families Overview & Scrutiny Committee. v Environment & Prosperity Overview & Scrutiny Committee, Planning North. v Lay Members Appointments Committee. v Trustee of Macclesfield Silk Heritage. v Secretary – Family History Society of Cheshire. v Co-ordinator – Research Centre FHSoC. MA (Environment, Policy & Society) (Open). JD (Judging Diploma – Animal Care College). DBC (Dog Breeding Certificate – Animal Care College). Social, local, natural and family history; reading; sport; needlework; gardening and others – but not all at once! My husband, David and I, celebrated our Ruby Wedding Anniversary in 2009. We were both born in Luton, Bedfordshire, but have traced our ancestors from all over Britain, including Cheshire. We lived in Bedfordshire and in Brussels before moving to Gawsworth in 1985.